Try to avoid transferring a domain to a new registrar if the domain is about to expire, as this can cause problems with the transfer. If your domain is due for renewal in the next month or so then it’s safer to renew the domain for another year with your current registrar first, then make the transfer once the domain has been renewed. Watch out for domain transfer scams! Some unscrupulous registrars mail out “renewal notices” or “invoices” to customers of other domain registrars when their domains are about to expire. The unsuspecting owner fills out the form thinking that they are renewing their domain with their current registrar, when in fact they are transferring their domain to the new registrar. This practice is known as domain slamming. The first thing to do is check that your current registration details are correct. In particular, you need to ensure that your name is listed as the Administrative Contact, and that the email address listed for the Administrative Contact matches your email address. This is because your current registrar will need to send confirmation emails to you at this address. Via your current registrar. Most registrars have a Web control panel where you can login and view information about your domains, including the Administration Contact name, address, phone number, and email address. If any of the details are incorrect, you can usually update them by filling out a form. Via a Web-based WHOIS lookup service. 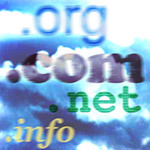 WHOIS is the database of registered domain names. There are many free WHOIS services that you can use, such as DomainTools, DNSstuff, and Whois.net. Enter your domain name, submit the form, and check the details for the Administrative Contact in the results. Via a command-line whois program. This works much like the Web-based lookup tool. Just open a terminal window or command prompt, then type whois, followed by a space then your domain name, and press Enter. For more information on WHOIS lookups, see “Finding a free domain name” in the article How to Set Up Your Own Domain Name. Now that you’ve checked that the admin email address for your domain is correct, you’re ready to start transferring your domain. First, check whether your domain has a registrar lock on it. A registrar lock (or domain lock) is a status code assigned to the domain that prevents the domain being transferred to another registrar. If your domain is locked then you’ll need to unlock it before you can transfer it. The easiest way to see if your domain is locked is to login to your current registrar’s control panel and view the details of your domain name. If your domain is locked then you’ll probably see a message or icon to this effect (such as a padlock icon). Often you can click the message or icon to unlock your domain. If you’re unsure how to check for a registrar lock, or how to remove a lock, ask your registrar for help. You can also check for a domain lock by looking at the domain’s WHOIS record (as described in Step 1). Look for a Status line that says something like Registrar-Lock or clientTransferProhibited. To transfer your domain, your new registrar will require the domain’s authentication code. Typically the code consists of a series of letters and numbers, like a password. The authentication code is a security mechanism that ensures that only the rightful owner of a domain can transfer it to a new registrar. Every domain has its own authentication code. The authentication code is sometimes called the AuthInfo code or EPP code. How to obtain your domain’s authentication code depends on your current registrar. Sometimes the code is available by viewing the domain details in the control panel (you may need to unlock the domain first). Alternatively, you may need to contact your current registrar and ask them for the code. It’s a good idea to do this at least a few days before you need to transfer the domain, as it can take a while to obtain the code. Now go to your new registrar’s website and request to transfer the domain to them. Typically you’ll find an option on the site called Transfer Domains or similar, which will take you to a form where you can enter the domain name to transfer. You may need to enter the authentication code from Step 3 at this stage, or your new registrar may email you asking for the code. Usually you’ll need to pay your new registrar for the domain registration at the time that you request the domain transfer. Once you’ve requested the transfer, the new registrar may send you an email asking you to confirm the request. Usually you just click a link in the email, or reply to the email, to confirm the request. Now your new registrar sends a notification to your current registrar, requesting them to release the domain. Your current registrar usually then sends you an email asking you to confirm that you want to move the domain away from them. You’ll probably need to visit a link in the email and enter one or more confirmation codes in order to release the domain. Once the domain is released by the old registrar, it is transferred across to the new registrar. Typically the domain transfer process takes about 5 days, although it can sometimes take as long as 2 weeks. When the transfer process has completed, you should receive a confirmation email from your new registrar. Usually the new registrar will copy over your domain’s nameserver records from the old registrar — this means that your website and email will continue to work as before. However, sometimes the new registrar doesn’t copy across the nameserver records. If this is the case then you’ll need to login to your new registrar’s control panel and enter the nameserver hostnames for your domain. Your Web hosting company should be able to give you these hostnames if you don’t have them. You now have the information you need to transfer your domain successfully. Good luck with your site! Thanks Matt for this article, its the first article on this topic that’s truly detailed and takes you step-by-step. I actually wish this article had been available some six 6 ago, when I got my first domains through my ISP. About 2 years after I purchased them I realized that I could actually purchase about 4 domains from another registrar at the price that my ISP was charging me for just 1 domain! So I decided I would transfer my domains to a new registrar… BIG mistake! All efforts to do so always reached a dead-end (especially at step #5 in your list). It seems that my ISP were determined not to effect the transfer. I attempted to transfer these domains more than 2 times thereafter, but all attempts ended in frustration. Thereafter – out of ignorance – I decided that I would allow one of these domains to expire without me renewing it with my ISP in the hope that I would be able to register it once it expires! Alas, my gamble didn’t pay off, as I lost the domain! So I decided to leave the second domain name (which I actually got for a client) with my ISP and I’ve been saddled with renewing it at an exhurbitant rate ever since. Well my tale has a happy ending, because last November the domain I lost for the past 2 years became available again and I was able to buy it back! So from now on, if I come across anyone interested in transfering their domain name, I would direct them to read this article first. Thanks again. Well I hope no one else has had such a terrible experience as mine? That sounds like a nightmare! 🙁 I have heard that some registrars are extremely unfriendly when it comes to releasing domains. Fortunately it hasn’t happened to me (yet). At least you managed to re-register your domain. That’s a nice article you have there. We have a KB article at http://manage.logicboxes.com/kb/servlet/KBServlet/faq491.html which sums up all the possible scenarios. Thanks for your feedback and the extra points. You’re right about the 60-day restrictions. Your article looks pretty useful too! Great article.Very easy to understand.Thanks for the article.please write more …. Thanks – glad you liked it. 🙂 What types of articles would you like to see more of? Domain names, programming, design, or something else?